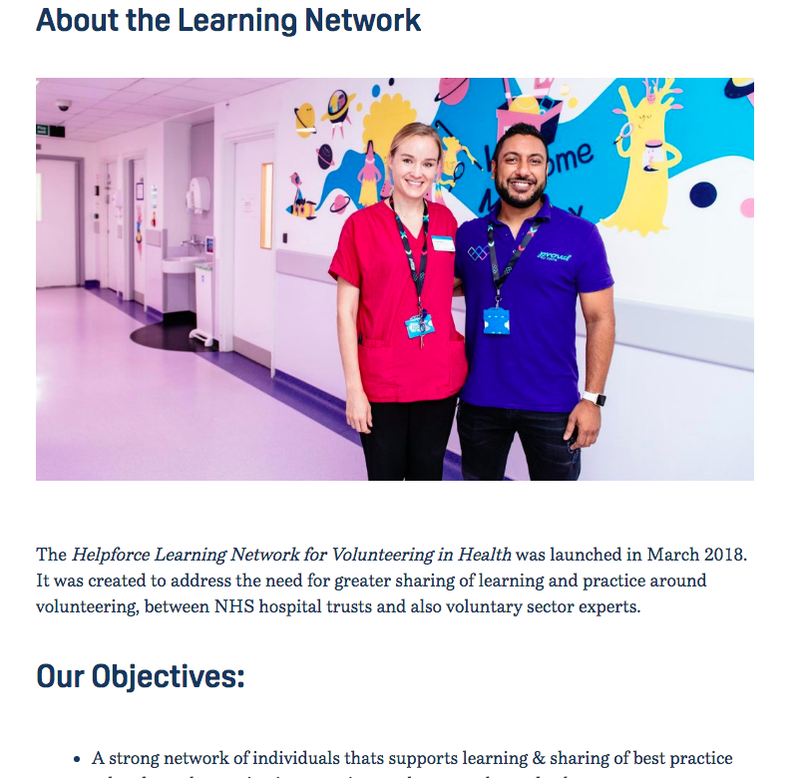 Helpforce is a charity with aims to support the NHS by upscaling and supporting the role that volunteers play in the NHS. Founded by Sir Thomas Hughes-Hallett, a philanthropist, who was previously Chief Executive of Marie Curie. Now as Chair of Chelsea & Westminster hospital, and ‘Chair of Chairs’ of all NHS teaching hospitals, Tom aims to build a national programme to promote the role and value of volunteering within hospitals, and deliver volunteer-centred innovation and improvement across the UK. 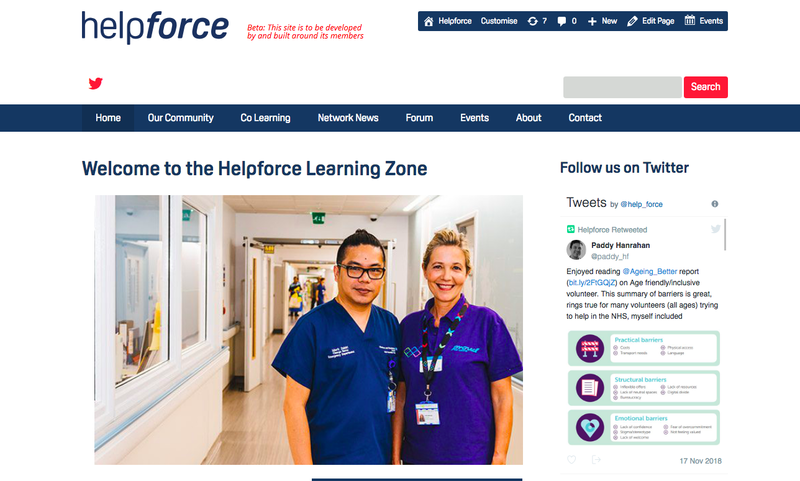 With these aims in mind, Helpforce wanted a custom web portal for staff and volunteers nationally to use as an online Learning Zone where information could be shared and people could engage and communication via the portal also. 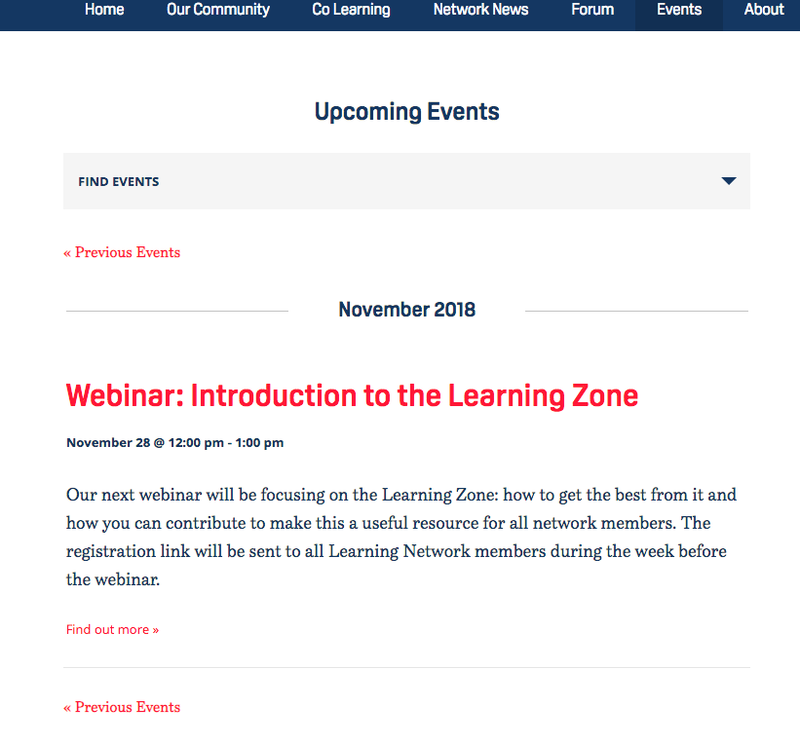 Events system – for announcing events with an events calendar also. 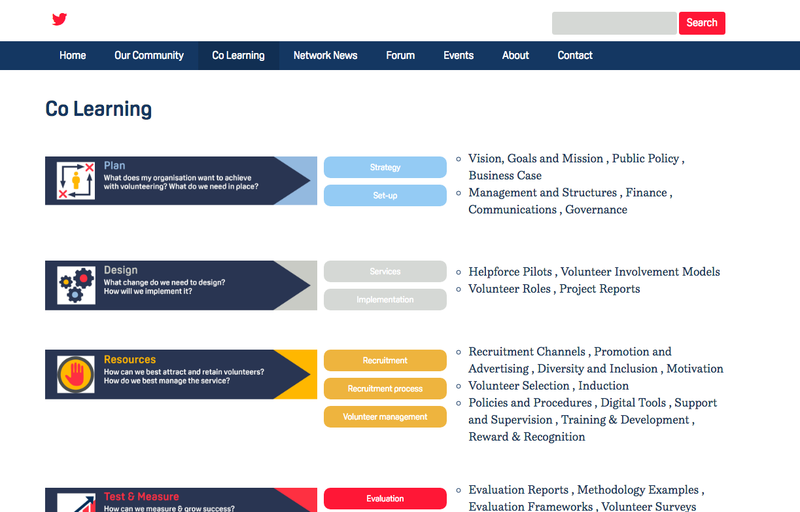 The portal also needed to reflect the style of the public facing Helpforce website (designed and developed by the brand agency UnitedUs ), we used the brand guidelines they developed for the style of the website portal. The charity Helpforce wanted to develop a portal for national internal use for staff and volunteers.